Apple is reportedly planning to launch a new Apple Music-like subscription-based service within the next year. The new service will be related to news and following Apple’s acquisition of the Texture app, the news subscription service seems like a good move. The acquired Texture app will be integrated into Apple News which will undergo several changes. So let’s dive in to see some more details on the matter. Apple’s move to introduce a news subscription service will allow it to generate more revenue through its online content and service sector. Texture app was acquired by Apple last month. The app basically allowed users to subscribe over 200 magazines which possible via a $9.99 monthly fee. After the acquisition, 20 people were made redundant while the rest of the team was part of Apple News. Apple News made its way to iPhone and iPad with the launch of iOS 10. It has become a great source of information for iPhone and iPad users over the years. It also featured a major redesign in between the process, streamlining with the rest of the operating system. 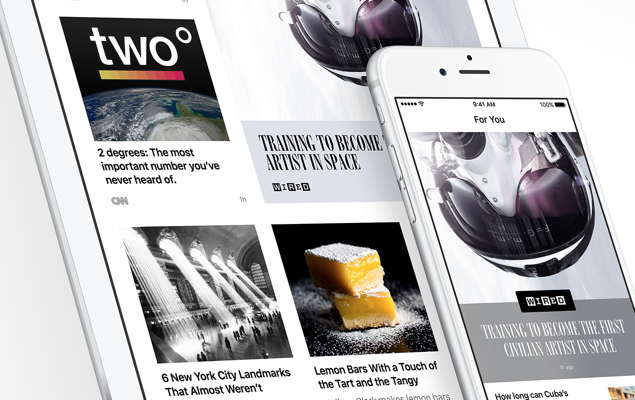 More or less similar to the Texture app, Apple will charge its Apple News customers with a fee of $9.99. However, there are no official details regarding the pricing model from the company’s end. Previously, Apple has Newsstand where it would allow readers to subscribe to individual magazines. This will be a similar service as major companies will be offering content based on subscriptions. However, we all know that the Newsstand did not pan out well. We hope the company sees success in the upcoming platform. There will be more tot he story, so be sure to stay tuned in for more details. This is all for now, folks. What are your thoughts on the matter? Do you like the idea of subscribing to a digital magazine? Share your views with us in the comments.